Modern pokies come in all shapes and sizes. They may vary in reels, pay lines, pay tables, themes and most importantly – bonus features. Video pokies are dominating the iGaming industry by far and away. Therefore gaming suppliers are dishing out new releases on a consistent basis. With so many pokies abound, the variety in them can be overwhelming. It’s important to know what you’re dealing with before putting real money at stake. We’ll break down the most common features found across online pokies, and explain them to the best of our knowledge. Whether it’s as a bonus or gameplay feature, free spins are the most sought after object among online casinos. Naturally, pokies are all about spinning, so it’s only natural players will pursue more of that by way of bonus features. Free spins are fairly self-explanatory, and they vary in amount depending on the game in question, although they usually range between 10-15. Most free spins also come with a multiplier on all winnings, which is usually three times of what you would normally win. Free spins are almost without exception triggered by Scatter symbols, regardless of which pokie you’re playing. As a general rule of thumb, three or more Scatters will trigger the free spins round. Moreover, some pokies reward more spins per Scatters triggered. In addition to that, it’s important to take note of whether the free spins can be retriggered by additional Scatters during the bonus round. If the answer to that is yes, then your winning chances are greatly enhanced once the ball starts rolling. As we said before, the number of pokies available today ranges in the hundreds, if not thousands. Game makers are keen on innovating in order to attract new players, which is why you’ll frequently see free spins paired up with additional special features. Immortal Romance’s Wild Vine free spins feature springs to mind here. In it, 25 free spins are rolled out as normal, but with a twist. When a vine symbol appears on your 3rd reel, it will transform random symbols into Wilds, additional enhancing your chances of winning. The example above is a mere fraction of the variety offered among pokies today. The diversity in free spin rounds themselves among video slots is beyond satisfactory for all types of players, and one thing’s for sure – we can only expect to see more of the same in the future. This may be the least exciting of bonus rounds, but it can bear hefty rewards nonetheless. This type of bonus round is usually triggered by way of 3 or more of a game specific bonus round symbols. After you’ve triggered the bonus round, it’s usually a point-and-click game where you hope for the best. The rewards for this type of bonus round are usually multipliers or straight up bonus cash. 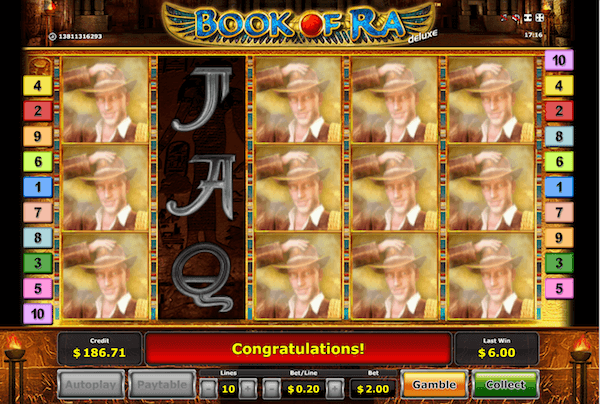 A good example of a pokie with this type of bonus round is Rainbow Riches. This Irish folk-inspired pokie includes a special feature where you can select a multiplier of up to 500 times of your initial stake. Some pokies go above and beyond the dull nature of this type of bonus feature, which is always refreshing to see. We’ll take Microgaming’s Hot as Hades as an example, where you take on a little mini game inside the pokie itself in hopes of amassing riches. The bonus game is split into 5 levels, where each level consists of multiple choices, including a choice that ends the game on the spot. Blood Suckers is deserving of a special mention here as well. In this 98% RTP NetEnt release, you have a bonus round where you stake coffins, earning cash as you go, until you come across an empty coffin and face the end of the bonus round. The similarities to Minesweeper are uncanny, which is why a bonus round of this type can prove to be especially frustrating, in spite of its lucrative nature. Wild symbols, alongside Scatters, are a mandatory presence among modern pokies nowadays. 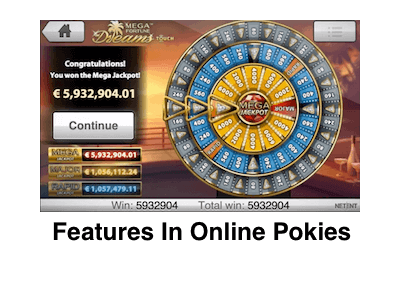 They assist you in achieving a sizeable win by forming combinations with base game symbols. Wilds usually substitute for all other symbols barring any special feature symbols (Scatter, Bonus). As an example, if you had a winning combination of three base game symbols and a Wild, that’s effectively a winning line consisting of four symbols. In some pokies, Wilds can appear anywhere, but there are cases in which they appear only on a specific set of reels. Nonetheless, Wilds are undoubtedly a staple of video slots today, solely because they always have a significant impact on your winnings. The importance of this symbol has led game makers to get creative and spawn a number of Wild variations. Here we list the most common ones alongside a detailed explanation of each. The expanding wild is quite possible the most popular wild symbol feature in pokies today. When an expanding wild is activated, it can cover up the entire reel from top to bottom, turning all symbols into Wilds. This makes forming a winning pay-line combination much easier. These symbols will sometimes take part during regular play, but it can be also seen exclusively during free spin rounds. A good example of an expanding wild pokie is Captain America by Playtech, part of the gaming supplier’s widely held Marvel franchise of pokies. In Captain America, you have not one, but two expanding wilds exclusive to the bonus round. Sticky Wilds are also a feature Playtech somewhat prefers, as they can be seen in The Avengers pokie, albeit as part of one out of three possible free spin bonus rounds. A symbol like this is very simple to comprehend. When it appears, it will remain in place for several more spins, depending on the game in question. Multiple sticky wilds appearing at once is also possible. When all is said and done, sticky wilds enhance your winning possibilities but not in the most direct of ways. You still need to get relatively lucky, even once you’ve seen a Wild or two appear on your reels. Stacked Wilds work similarly to Expanding Wilds. The difference being that a whole group of Wilds will appear as stacked at once, vastly increasing your winning possibilities. The downside being that Stacked Wilds are exclusively reserved as a free spins feature. Wild Turkey by NetEnt is a perfect example for a Stacked Wild feature pokie. Transferring Wilds are seldom seen among pokies nowadays. The reason for this is because pokies with a Transferring Wild have an entirely unique reel system, where the leftmost reels appear larger and increases in size towards the right. When a symbol like this appears on the left, it transfers to the rest of your reels and generates outstanding multipliers. A recommended pokie with this feature is KISS by Williams Interactive. Win both ways pokies are not ones that you’ll frequently come across today, but a number of gaming suppliers have taken upon creating a game carrying this feature, and some of them remain popular to this day. The gameplay flow in win both ways pokies is identical to that of a regular video slot. However, instead of being able to combine winning symbols consecutively from left to right, you are also able to string winning combinations from right to left. Because of this, win both ways pokies have reduced pay-lines, but other than that you’ll see no glaring differences. If you’re looking for specific pokies of this kind, take a look at Highway Kings by Playtech and the aesthetically charming Dragon Island by NetEnt. Random triggers in pokies are special features that you have absolutely no way of knowing how and when they’ll happen. Your free spins are triggered by three Scatters, your bonus rounds are triggered by way of unique bonus symbols, whereas random triggers are activated by nothing but the RNG in the pokie itself. There are no specific symbols that will generate a random trigger win. It will either happen or it won’t, they work almost identically to a jackpot. The difference being, they appear far more frequently than jackpots when looking at the big picture. Immortal Romance’s by Microgaming is one of Microgaming’s most popular high variance pokies. The Wild Desire feature in this pokie is a perfect example of a random trigger feature. When this special feature is activated, it will turn up to 5 reels into Wilds, generating a massive win that will quickly fill your bankroll. 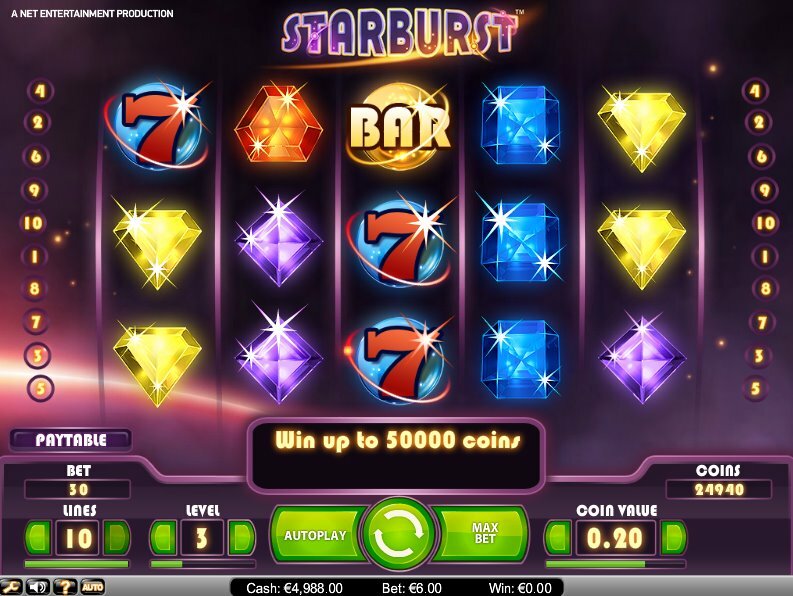 The gamble feature is usually attributed to classic fruit machines, but it can be also found among modern pokies to boot. In fact, one of Microgaming’s relatively new releases – Game of Thrones, is a video pokie containing the highly volatile gamble feature. The way gamble works is simple to grasp. After each win, you have the option of gambling said win. If you win, you double it, if not – you lose all. You gamble by playing a 50/50 random game. In Game of Thrones’ case, you choose heads or tails and the pokie flips a coin. Should you win, you will progress to the next round of gambling. In Game of Thrones, you can gamble up to 4 times, should you be lucky and win every time.